Vietnamese agricultural conglomerate TH Group signed the agreement with the Russian Private Equity Fund (RPEF) on the construction of integrated complexes for the production of dairy products in the Moscow and Kaluga regions. According to the RPEF, the total investment will be $ 633 million. The agreement was concluded during the St. Petersburg International Economic Forum (SPIEF). The report argues that «the agreement involves the construction of two dairy plants with an aggregate output of more than 300 thousand tons of milk per year. The total number of livestock will be 45 thousand cows «. The beginning of construction is planned for the fourth quarter of 2018th; the expected duration of the project three years. It also includes the creation of its own distribution network for the sale of products manufactured at the mills. According to the general director of the RPEF Kirill Dmitriev, the fund is confident in the success of the joint project since the Russian dairy industry is not able to fully meet the domestic demand for dairy products, and the Moscow region is particularly scarce. In turn, Thay Huong the «TH Group» founder, said that the group has clear plans for Russia, where the demand for milk is very high. She again confirmed the company’s intention to invest $ 2.7 billion in Russian production. The first farm, designed for 6,000 cows, was opened by the TH Group in the Volokolamsky district of the Moscow Region in February 2018th. According to the Andrei Razin region head of the Ministry of Agriculture and Food, the daily yield in the farm is still 15 tons. At the end of April it was reported that for the TH Group project sites were selected in two more districts of the Moscow region. Also at SPIEF, Moscow region government signed an agreement with the company EcoNiva on the construction of two dairy farms in the region for 2.8 thousand cows of a dairy herd. According to the report of the agro-department of the region, investments in the first farm are estimated at 2.5 billion rubles. The project implementation period is until 2020th. The complex will be located on 16 thousand hectares. «We agreed to purchase an agricultural enterprise in Stupino,» said Stefan Duerr, the general director of EcoNiva, «We currently have only 350 thousand hectares of land in Russia in various regions, and we are not working in the Moscow region yet.» According to Duerr, the construction of farms in the suburbs will add to the 1360 tons of milk per day, which the company produces now, another 160 tons. Also, EcoNiva signed an agreement with Voronezh region on the construction of two livestock complexes each for 2,8 thousand cows. Now EcoNiva has 18 complexes, four are being prepared for commissioning, and another 10 have been started, and will be completed at the end of the current year or early next year. The authorities of the Stavropol region entered into an agreement with the «Agroalliance Invest Company» on the modernization of the dairy cattle-breeding complex for 1.2 thousand heads of cattle. As the press service region governor informed that the volume of investments will amount to 1 billion rubles, the period of implementation will be until the end of 2019. «It is expected that following the results of its (modernization project), the number of milking flocks will first increase to 1.7 thousand, and then — up to 3.2 thousand heads. At the same time, the planned volume of raw milk production will be 10.2 thousand tons per year, «the report said. And the government of the Kaliningrad region signed an agreement with the «Zalesky Moloko» group and Rosselkhozbank on the construction of two livestock complexes and a breeding and genetic center in the region worth 4.4 billion rubles. 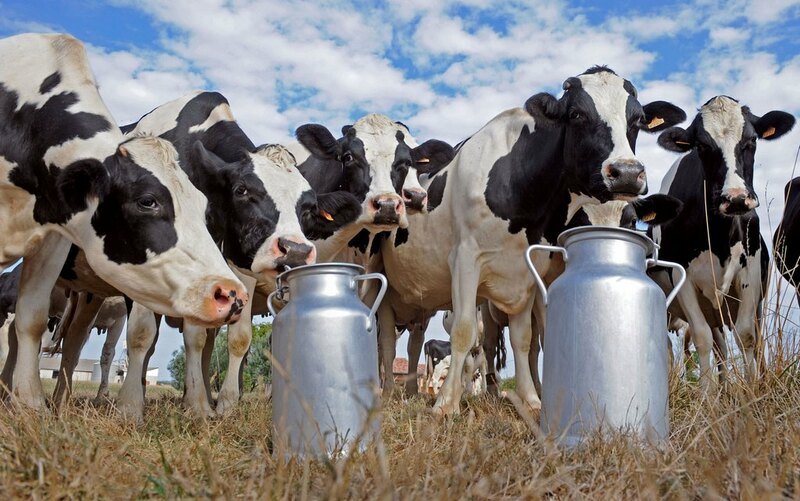 The production capacity of the complexes is not reported, the chairman of the board of directors of «Zalesky Moloko», Andrei Romanov, said only that their input will increase the group share in the gross volume of raw milk production in the region from 43% to 56%. Also at SPIEF it became known about the intention of “Hohland Rusland” (a subsidiary of the Hochland group of companies) to invest 1.5 billion rubles in the modernization of the Belinsky cheese-making factory, purchased from “Damate” at the end of 2017th. As reported on the website of the Government of the Penza region, during the first phase of the project it is planned to install new technological equipment with a capacity of 300 tons per day. Commissioning is scheduled for June 2019. In addition, PepsiCo plans to invest about 400 million rubles in the modernization and expansion of production of the holding company «Opole» in the Vladimir region. According to the press service of the governor of the region, now «Opole» processes up to 200 tons of raw milk daily and is one of the largest producers of dairy products in the region. According to Rosstat, in January-April 2018th, the production of raw milk in agricultural organizations amounted to 5.3 million tons, which is 232 thousand tons or 4.6% more than the same period a year earlier. In percentage terms, the largest growth was observed in the Kaluga region, where it was 24%. In absolute terms, the highest growth was registered in the Krasnodar Territory (+25 thousand tons), in Novosibirsk (+20 thousand tons) and Voronezh (+19.5 thousand tons) regions. For four months of this year, the yield per cow for the country averaged 2,132 kg, 3.5% more than a year ago. Last year, according to the updated official statistics, the production of raw milk in the country increased by 1.4% to 31.2 million tons, including agricultural organizations increased output by 612 thousand tons to 15.7 million tons. Earlier in May, the first Deputy Minister of Agriculture Dzhambulat Hatuov predicted that by the end of 2018th, Russia could increase milk production by 700 thousand tons.